In most distressed mortgage situations, foreclosure is a last resort for all parties involved. Simply put, both the homeowner and the lender usually want to avoid foreclosure at all costs. That is why lenders have come up with various alternatives to foreclosure, which they are very motivated to pursue prior to going to foreclosure. 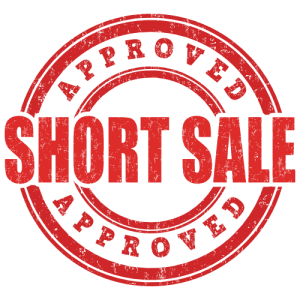 A short sale gives the lender to ability to cut their losses up front, avoiding the time and expense of a foreclosure and potentially greater losses. Lenders want to make loans! They don’t want to be in the business of owning and managing real estate. In many cases, a short sale offers a better return on the lenders investment than a foreclosure. A few years back we had a perfect example of a lender taking heavier losses by foreclosing than if they would have agreed to a short sale. The lender mistakenly thought the property was worth way more than they were offered on the short sale. They went ahead a foreclosed but sold the property for much less than they were offered on the short sale. In this case the lender was unfortunately provided an incorrect and low Broker Price Opinion by their own broker. There are many factors lenders consider when deciding rather or not to agree to a short sale. Sometimes lenders are quick to agree and other times, they will be difficult. Actually, there are times when it makes no sense whatsoever. This is usually due to unknown factors such as policy changes or perhaps the lender needs to liquidate assets, or not. If short selling your home, it's critical to provide a complete offer package, one that and includes every document the lender might require. Also, don't discount the effectiveness of having an experienced short sale in your court to give you the very best chance of success.